Multiplayer mode in Tekken 7. As most of you probably know, this year, Tekken 7 is going to show up with the most amazing improvements and features. Only two years ago the game was introduced to the whole world and today, it is recognized as the best fighting video game with already more than 3 million fans. Of course, the number is not entirely accurate, because the number one fans successfully grows every single day. In this article, we are not going to speak about Tekken 7 characters, trailer, storyline and etc. This time we are ready to talk about its opportunities or in other words multiplayer mode. The decision to bring the multiplayer mode was made immediately after the first game presentation. Already at that time it was clear, that the fighting game will be playable by two people. In other words, gamers will have an opportunity to play Tekken 7 online with their friends or some unknown players. According to the game creators, such a choice allows gamers to compete and decide which one is a better fighter. Watch the video below to see how Tekken 7 multiplayer tournament looks like. However, we have something more important to tell, than the news about the existence of multiplayer mode. As it was finally confirmed, Tekken 7 is going to feature one more amazing thing. According to the latest news, Tekken 7 will allow both players to fight from the same side. 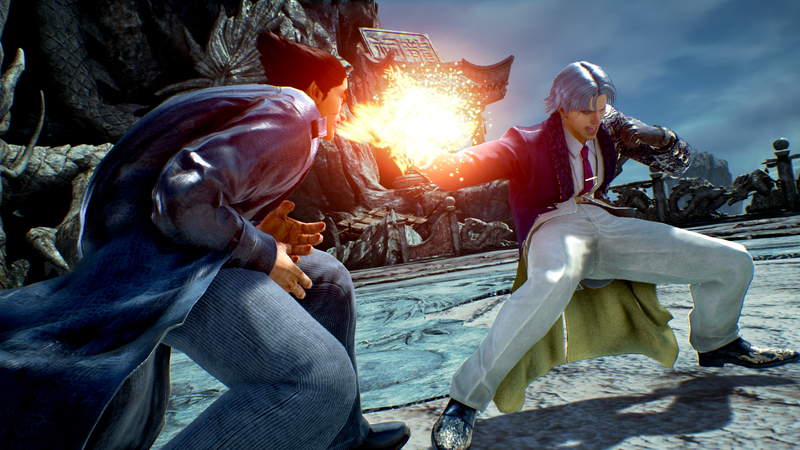 For many years, all video games did not have such opportunities, however, Tekken 7 creators are doing their best bringing this novelty to the world of games. In general, this innovation will work only for setups, which use two different screens. That can include online multiplayer or arcade cabinets. What is the main reason For Tekken 7 to allow gamers to play from the same sides? If we would speak about Tekken 7 multiplayer for PC, many years back we could only play the video games with our friends by inviting them to our house. However, the times are changing, so must change the abilities in the video games. Since Tekken 7 is the first to introduce such a novelty, they expect to solve one more problem, which existed for too many years. Until now, it was typical that one player was forced to play on the left and another on the right. The problem is all about the discomfort. For instance, you practice your fighting being on the left and suddenly during the game you need to fight from the right side. Such a squeeze was and still are the biggest problem, however, while playing Tekken 7 you are not going to face it ever again.